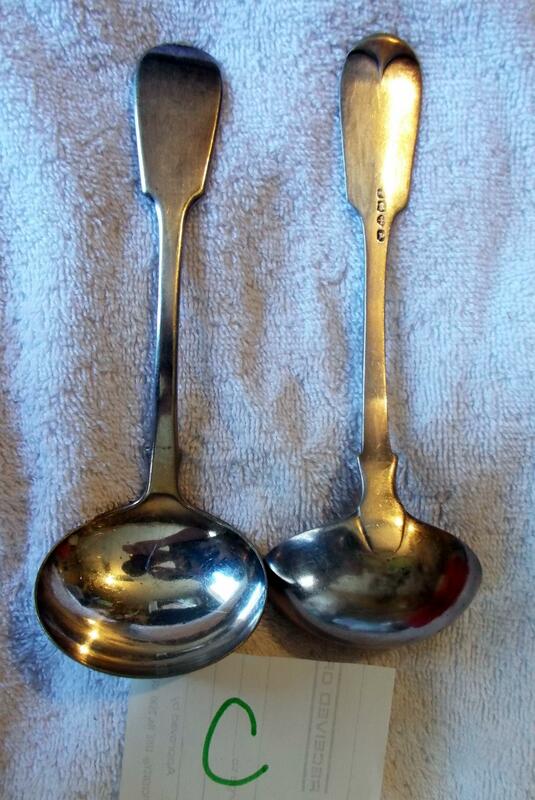 NICE LARGE SPOONS I BELEIVE LAIDELS? CAN YOU PLEASE HELP ME IDENTIFY THESE? THANK YOU IN ADVANCE! 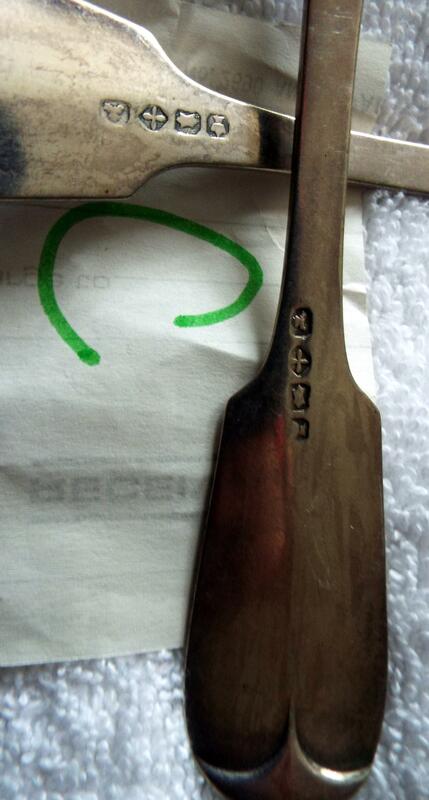 Definately ladles but I cannot read the hallmarks sorry. 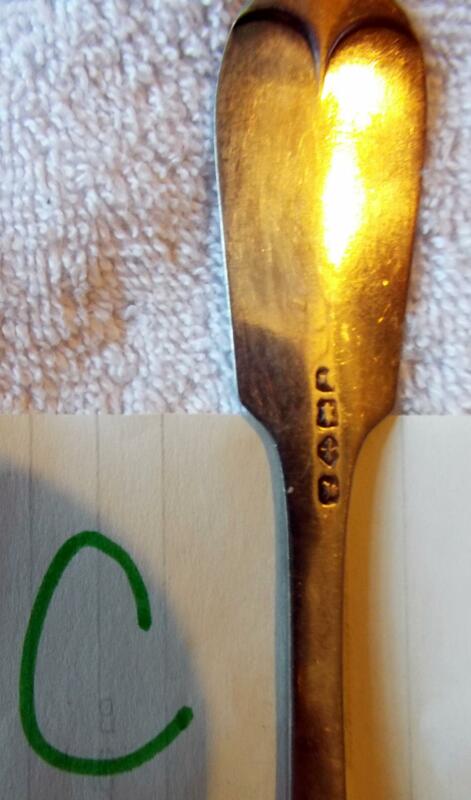 Is there any other indentifying marks on the front of the ladle or on the handle. You'll have to get them tested for silver content, the hallmarks were meant to resemble those used in Britain and other countries, but contain no information of the maker, date marks or country of origin.